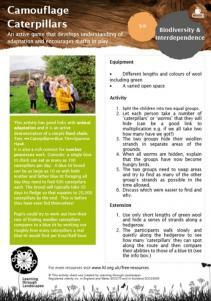 Grow Your Own Potatoes is a hands-on growing project for primary schools, linked to the curriculum. 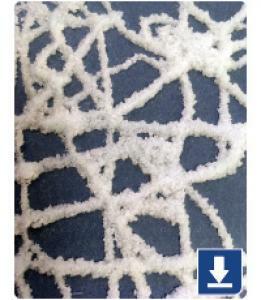 Sign up now to receive your FREE growing kit. 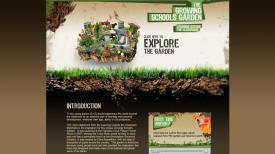 Innovative website set up to accompany the award-winning Growing Schools Garden at the Hampton Court Flower Show. Activity pack celebrating London’s food culture. 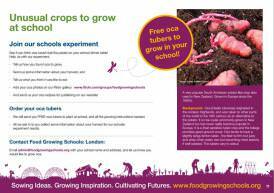 Students can grow and taste food, learn from local community, and eat, cook and share food. 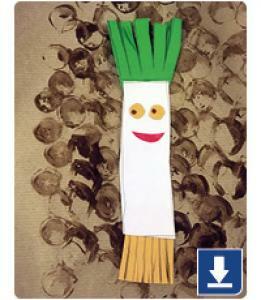 An active game that develops understanding of adaptation, food chains and encourages number process work through play. 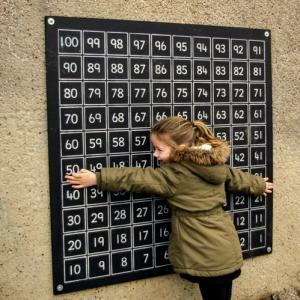 Use simple find and share challenge cards for building vocabulary around size and scale in early years’ mathematics. 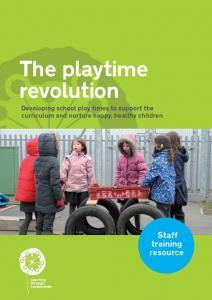 A free self-led training resource about break and lunchtime supervision for schools and early years settings. 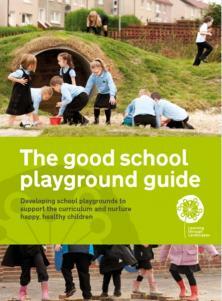 A key guide on how to approach school grounds and playground design to support outdoor learning and play. 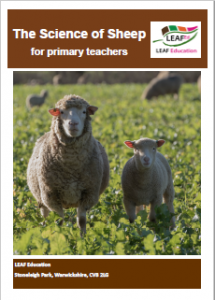 An e-booklet of ideas and activities for primary schools with a focus on sheep. Tractor Ted is helping to harvest cauliflowers. 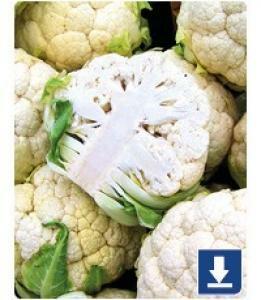 With their interesting colours, shapes and textures, there’s lots to explore in a cauliflower! 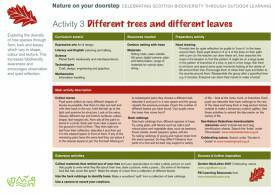 Monthly resources for preschool children on farming, food and the countryside. Tractor Ted is helping to harvest leeks. . 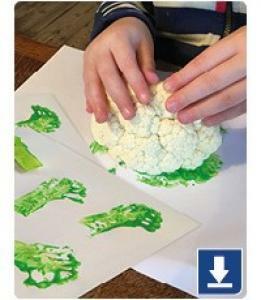 Try the following activity, and introduce your group to a new and delicious vegetable.